The 6th travelling festival series began with Puducherry - Auroville CMS VATAVARAN from Oct 07 and will end on Oct 12, 2014 (Tue - Sun). The festival was declared open on October 07, 2014 by the hon'ble Minister of Forest, Science, Technology and Environment Thiru T Thiagarajan. During the inaugural ceremony 3 Green Ambassadors from Puducherry were felicitated for their remarkable contribution and their commendable work at the grassroots level in the field of conservation. 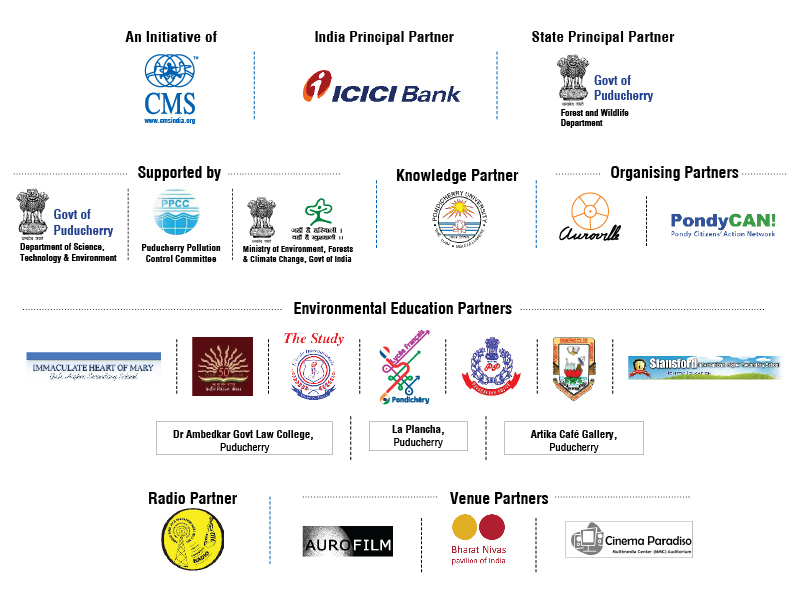 Total 10 nominations were received from Education Department, PondyCAN!, Auroville Film Festival and Pondicherry University. Out of the total nominations, 3 nominees have been shortlisted which be announced during the Inaugural Ceremony. Press Release - 08 October 2014. Press Release - 07 October 2014.